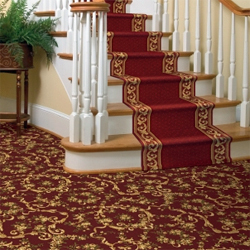 Welcome to Stanton Carpet Corp.
We are located in Syosset, NY United States of America. Stanton's three quality carpet divisions represent all key facets of the soft flooring arena: Stanton Carpet, Royal Dutch Carpets and Antrim Carpets USA, LTD.
Want to learn more about Stanton Carpet Corp.? Click here to view the many products that we offer. Crescent offers a selection of stocked and custom fabricated rugs and carpets that are among the most unique in the floor covering industry. Acquired in 2010, the Rosecore Carpet Division has been the premier supplier of fine broadloom and hand-loomed floorcovering products for over 30 years.